In 1975, the capital of Vietnam fell to the communist Northern Vietnamese Army. In 1978, thousands of Vietnamese citizens began risking their lives to escape the communist reign, in hopes of reaching a country with promising freedom and safety. 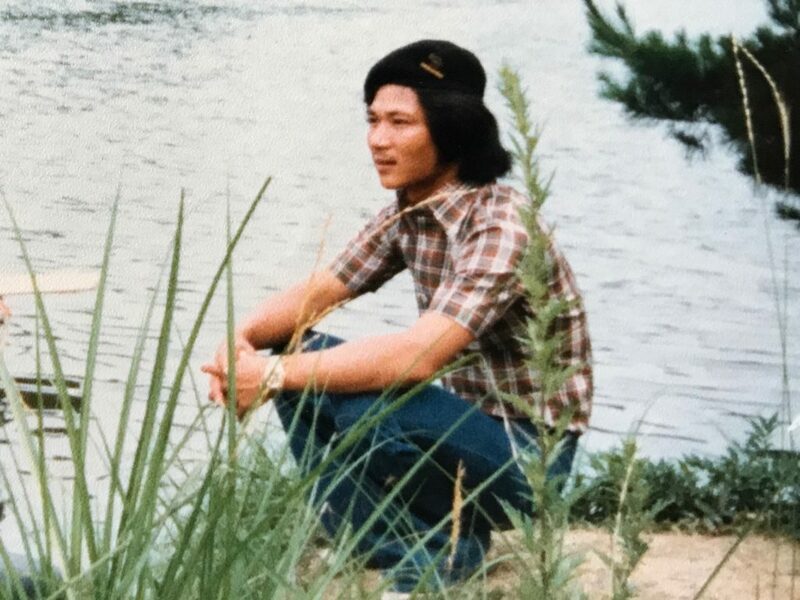 Many of them gathered on small fishing boats and ventured towards the unknown, hence we were coined the “Vietnamese Boat People.” I was one of the 200,000 refugees who escaped communism in 1978, and this is my story. I was 19, from a beach town called Phan Thiet in Vietnam. I had my backpack with clothes, food, and less than 10 dollars in my pocket. Before I headed to the pier, my father handed me his favorite watch, and told me, “Time is the most valuable thing, never forget that.” My mother begged me not to leave, afraid I would drown at sea and never return. Survival rates were risky: there were several tales of pirates at sea, no way to tell if storms were coming, and the ship had limited quantities of food, fuel, and clean water. But I knew I had to chase my dreams of a better future. I quietly made my way down to the pier, where I found a fishing boat covered with a tarp. I noticed a man peeking out from under the tarp, and he beckoned me towards the ship. It was a few hours past midnight. Children, women, men, elderly, babies, the rich, and the poor, began filling the boat like sardines. The boat was 50-feet long and 10-feet wide, carrying 50 to 75 people. My heart was pounding. The captain lifted the tarp and started the engines, and our boat made its way into the Philippines Sea. The first two days were the easiest because everyone was so hopeful. American Fleets were east of the Vietnam coast, waiting for refugees to arrive, and all we had to do was make it there. However, after three days headed east, the engine ran out of fuel, and fate was the only tool left to push our sails across the sea. By the fourth day, the boat ran out of food and water. I turned to the left, then my right, and all I could see was the ocean horizon. Every second felt like minutes, every minute felt like hours. On the fifth day, several passengers were suffering sea sickness. An elderly man had passed away. At least three people jumped off the deck of the boat into the ocean, never to be seen again. Faith was beginning to run low, as our stomachs began to growl, and dehydration caused fatigue. Over time, the currents carried our boat several hundred miles north, until the winds stopped our sail in the Eastern China sea. On the sixth day, a miracle occurred. Just as my hopes began to sink, a European cargo ship was spotted at the horizon, and it was heading in our direction. One of the men on our boat grabbed our flag and set it on fire to give signal to the ship, and a wave of adrenaline began flushing throughout my body. The cargo ship rolled up next to us and began to communicate with our captain, the only man who spoke English. Apparently, the cargo ship refused to take us aboard because there were too many of us. My stomach dropped. People on our boat began to panic. Then, suddenly, we heard a large bang on the side of the boat. The captain used a hammer to gash a large hole on the side of the vessel, and water began flooding the deck. The women and children began screaming and crying, the men were arguing, and the cargo ship crew began to panic as they watched our boat sink. Without a choice, the ship made a humanitarian decision to let down a large rope ladder that was at least 10- feet wide. Our people desperately grabbed for the rope and began climbing, pushing the women and children up first. I was among one of the last people to grab onto the rope, just as the boat began to disappear under the sea. May 25, 1978 – I’ll never forget the day my life was saved. The crew led us down under the deck and fed us stale bread. We were starving, and at this point still worried and lost. We were blessed because the crew fed us, but we were unlucky to learn the crew was headed towards China, another communist country. At this point, China was deporting Vietnamese boat people back to Vietnam, and the consequences would be brutal. So, as the ship approached the dock, we refused to get off, and the crew finally agreed to hide us until they were to set sail once again. Several days later, at sea, we landed in Nagasaki, Japan. We stayed at a refugee camp which taught us to speak Japanese, and offered us jobs at local factories. I studied Japanese and English every single night, and eventually showed leadership and that I was a capable and smart person. After two years, I was promoted to the main translator and supervisor at a local factory. At this point, I couldn’t believe I was alive. I had never understood the fragility of life and been so grateful until this experience. Being so close to death reminded me I was extremely lucky to be alive, and there was no way I would take another day for granted. I vowed on that day to cherish my life, and work hard to respect the opportunities that were given to me.